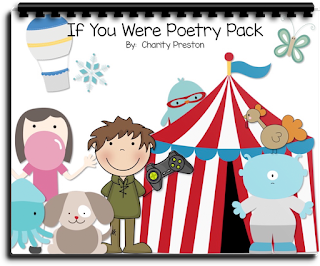 Classroom Freebies Too: Freebie Friday Poems! So, some people scrapbook. Other do their nails. Maybe you prefer to watch TV in your downtime. I have fun creating teacher printables for no reason. :) I whipped up a little something for my K-5 teacher friends (K-2 MIGHT need to do it as a group depending on where your students are this time of year). It includes 12 different poem prompts. Super fun poems! Each poem is only 6 lines long and gives students some creative thinking time! As long as the poem is about the title, don’t limit the child to something specific. Prompts can be used while working on a poetry unit or as morning work/centers throughout the year on occasion!